This tour is unusual, you will not find such routes anywhere and no one. 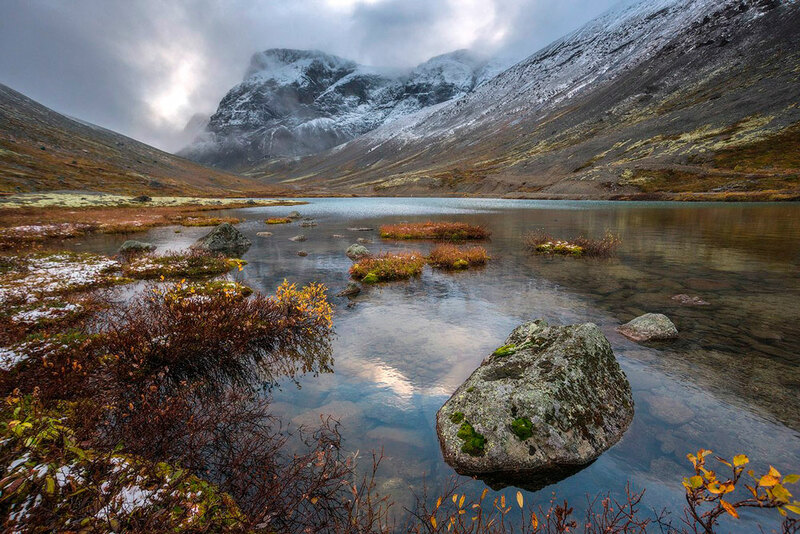 It combines almost all the natural attractions of the European north of Russia and Europe! Judge for yourself: for 14 days we will see Onega Lake, Khibiny, Lovozero Tundra and Seydozero, Teriberba, Rybachy peninsula - the northernmost point of the European part of Russia, as well as the northernmost capes of continental Europe - Knyschollodenn and North Cape, visit the beautiful island of Senya, "Norway in miniature", as well as even more beautiful Lofoten islands, in Lapland, where we will visit the village of Santa Claus, in Vyborg and Shlisselburg. And all this in the midst of the white nights! Early morning departure from Moscow. We drive along the Kholmogory route through Yaroslavl and Vologda, but they are not the purpose of our trip, so we pass them without stopping. But in the Kirillo-Belozersky monastery we will stop for about an hour to rest and take a walk around this interesting and uninhabited because of its remoteness, place. And for the night we will camp on the shore of Lake Onega in the vicinity of small town Pudozh. On this day we will leave for the federal highway Kola, along which we will continue to move along the White Sea before turning to the city of Kirovsk. We will pass and it, and then we will make a small track to the Maly Vudyavr lake in the beginning of the Hibiny, where we will camp on a well-equipped place for this. Evening fire and potatoes baked in it, as in childhood, are guaranteed! In the morning we are waiting for a small by the standards of our journey moving from Kirovsk to Revda - a village 60 kilometers from the main road. Here we will make a serious track to Seydozero. We start our way through the territory of the mine and go up the path to the Elmoraiok pass along the Ilmajok stream. The descent to the Seydozers is steep and ends with a relict glade. From here begins the Elmoraiok stream, flowing into Seydozero and the path leading to it through the forest. Let's go on it to the shore. On the left on the rock we see Kuiva, a mountain relief resembling a man with a lake under the protection, and from behind we see a small mountain resembling a stepped pyramid in shape. Here on the shore of the lake, we will split the camp and arrange an overnight stay. In the evening, at the campfire, the instructor's stories about the mystical history of the lake await you. Return to the village Revda and again set off on a minibus. 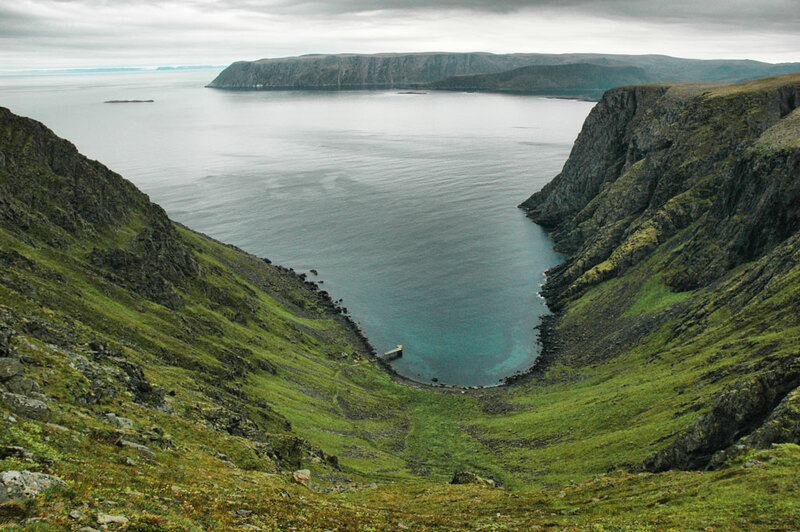 The final point of our route today will be Teriberka village, known among the lovers of the Russian north, on the coast of the Barents Sea, in the tundra zone, 120 km. 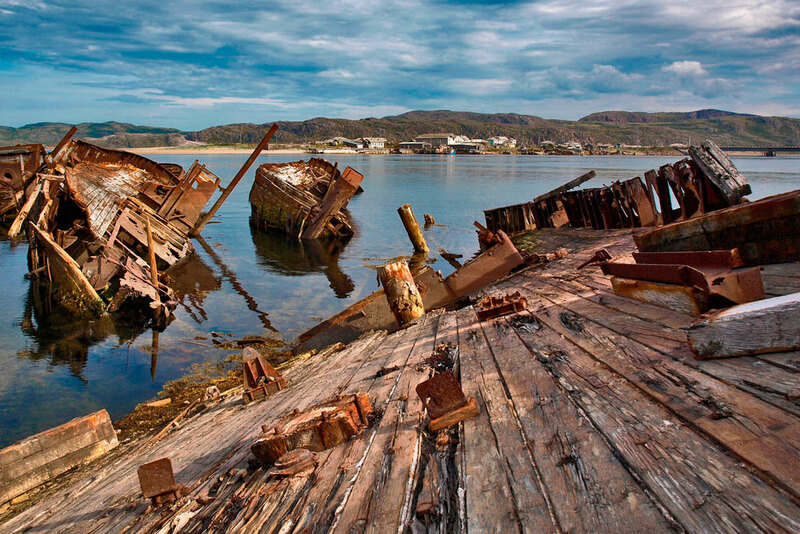 north-east of Murmansk. Here we are waiting for the majestic views of the Arctic Ocean, the views of the village itself and the poor but colorful life of local residents, the picturesque waterfall that flows into the ocean, the views of the legendary northern tundra, and the location of the film Leviathan (got a prize at the Cannes Film Festival) and the cemetery of old wooden ships of the last century. Half a day we devote to exploring the village of Teriberka, and then advance to the Rybachiy half-step. On this day we will reach the village of Bolshoye Ozerko, further - if the weather and the road permit. With good weather and roads, we will reach the Vaidagub lighthouse, the northernmost point of the European part of Russia. If the weather does not allow us, we'll make a small pedestrian track with an overnight stay in Rybachiy. 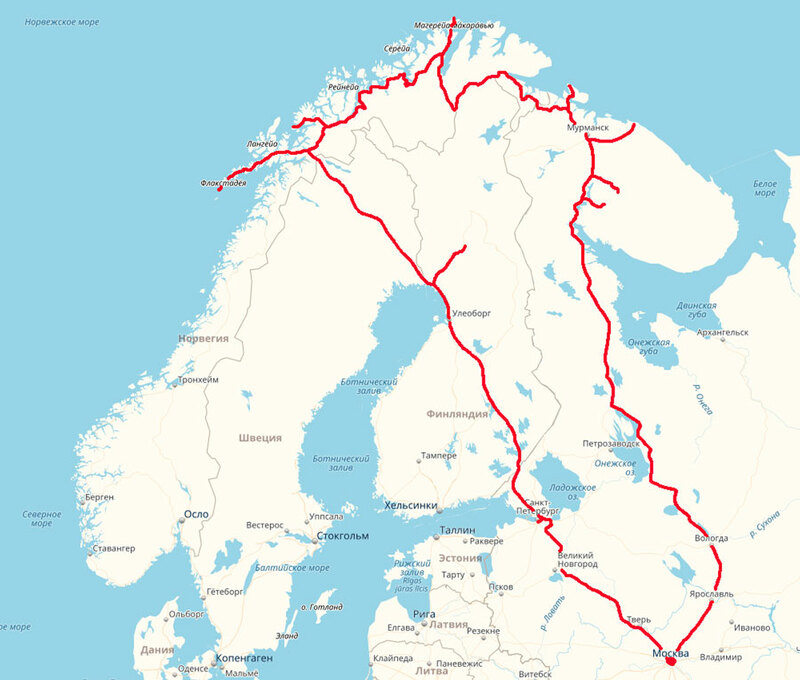 Half a day we spend on Rybachy, and then we leave on the Murmansk-Kirkenes road and move to the border, before which we will drive into the picturesque town of Nickel, we will see and be horrified by the apocalyptic landscapes created by the plant of this city. In the evening we cross the Russian-Norwegian border and start a journey to the now already foreign north. We spend the night on the shore of a small fjord near the city of Kirkenes. 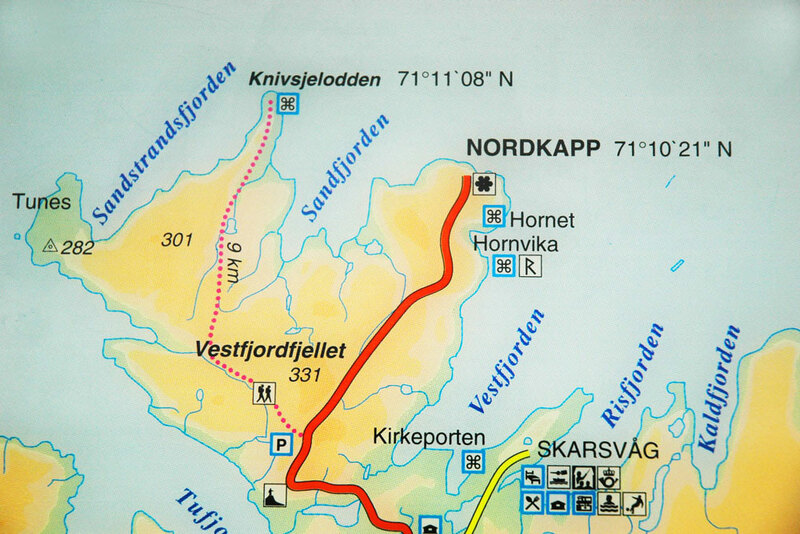 In the morning we inspect Kirkenes, go to a couple of museums and then go to the northernmost point of mainland Europe - Knivsjelodden ("the point of the knife"). 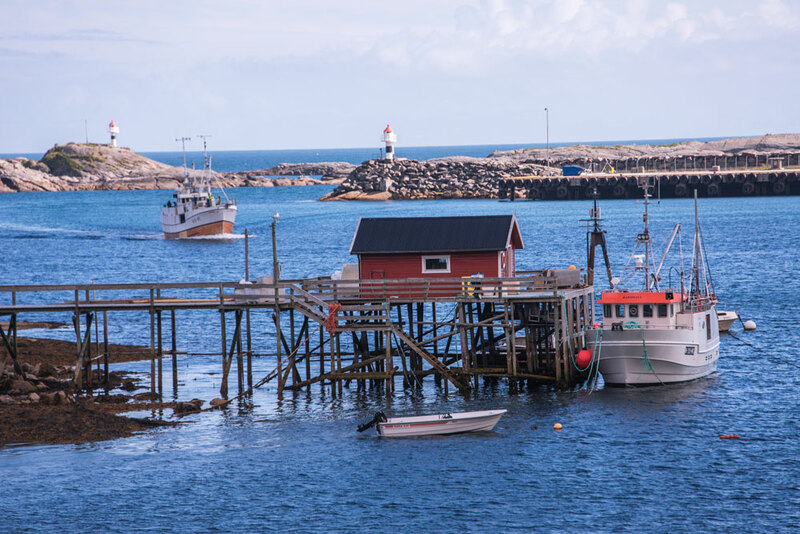 In fact, the northernmost cape is the neighboring Nordkapp, but only because the entrance to it is equipped with barriers, behind which is built a survey site with a cafe and a souvenir shop. To enter this penny is in the direct sense of frantic money, and money, as everyone knows, solves everything, including slightly distorting the facts for the sake of profit. In fact, in fact, not advertising, the most northern promontory is Knivsjelodden, where the path led by connoisseurs and connoisseurs of truth leads, it is through it that we will go to the northernmost point of mainland Europe. This is literally the end of the earth, to go in one direction for about four hours, so we'll take tents with us and spend the night at them on the cape. The temperature here rarely is above +10 degrees, so take with you all the warm things that will be, the night can be cold, but very memorable! Secondly, at this time of year the night is here and not the night at all, but quite a day - light enough that you can read, take pictures, and generally admire the unusual species, and the views are stunning! Third, the sunset and dawn! They are worth a little inconvenience! In the morning we return to the minibus, if there is a desire of the group, we stop at the observation platform of Cape Nordkapp (not cheap pleasure) and continue the movement in Norway. 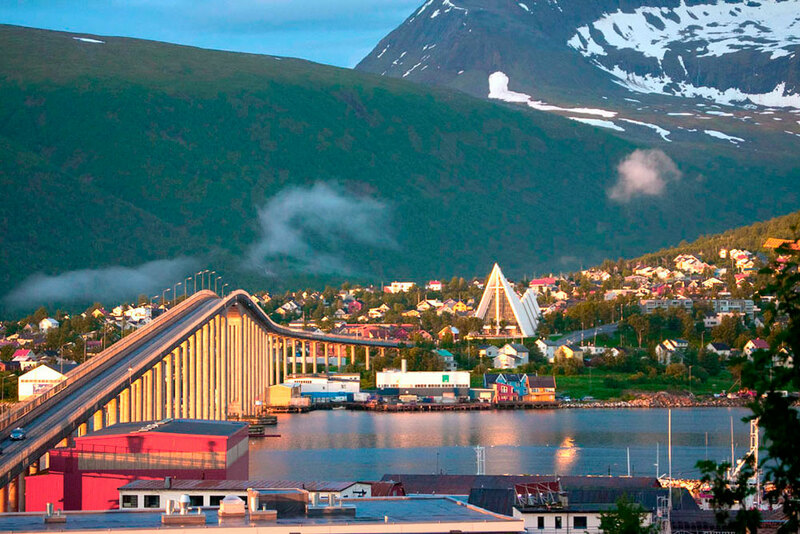 This time to the city of Tromsø, which is often called "Northern Paris", as well as "Gates to the Arctic". Here we will see the famous Arctic Cathedral, as well as the Arctic Botanical Garden, the planetarium, the world's northernmost brewery, the Polar Star ship museum, and climbing the funicular to the Sturstein mountain, we will see a fascinating panorama of the city, the river, the mountains and admire the ... the midnight sun, because these are the longest days of the year and here, in the Far North, at this time the sun practically does not go beyond the horizon, especially if you look at it from the mountain! Overnight in a comfortable camping near the city. 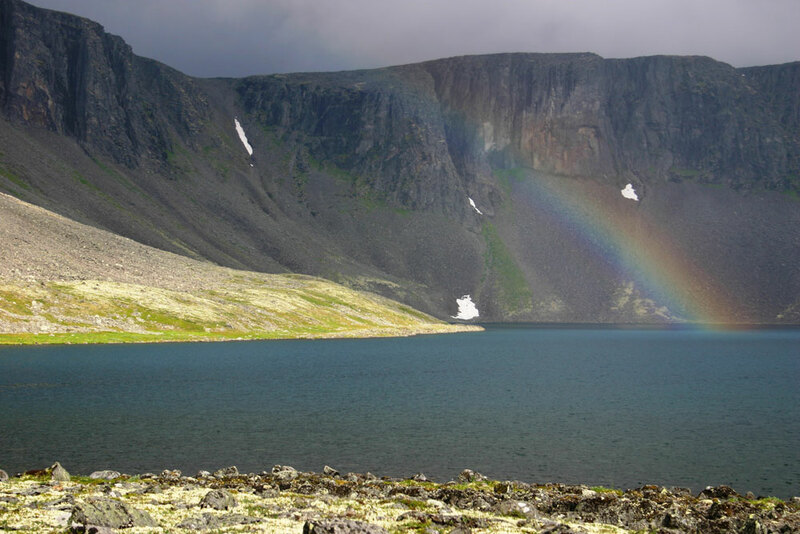 Our next goal here will be Senja - the second largest island in Norway (not counting the Spitsbergen archipelago). The island connects to the mainland by a large bridge, so there are no problems getting to it by car. For the variety of natural landscapes, Senj is sometimes called "Norway in miniature", but there are more beauties here! What does the famous island-cliff of Khaya stand for? 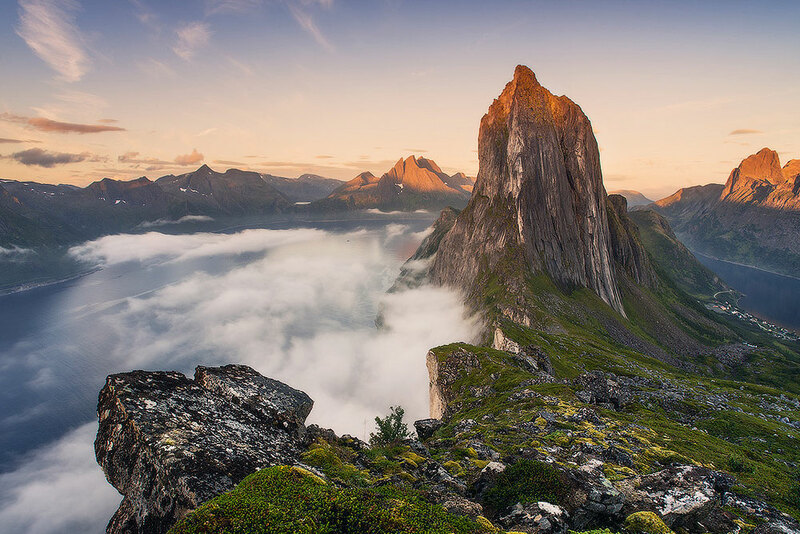 It is said that it was this rock that inspired architect Jan Inge Hovig to build the Arctic Cathedral in Tromsø. 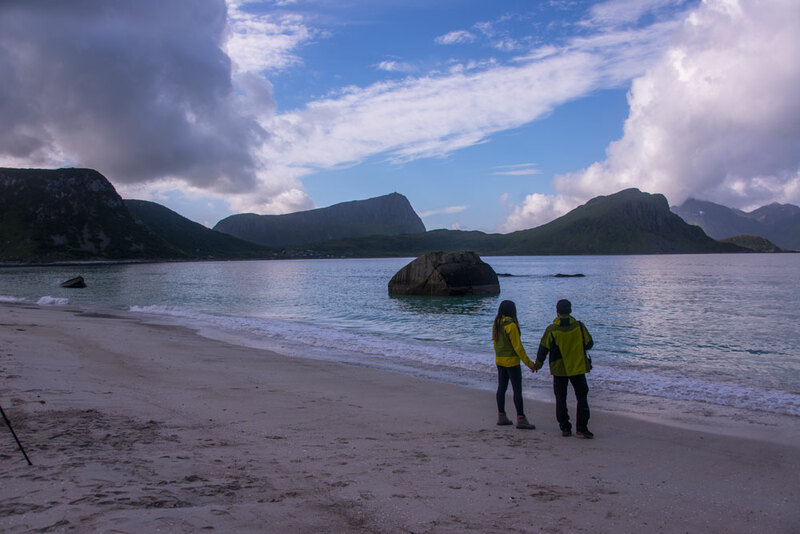 Say goodbye to the beautiful Segni and go to even more beautiful Lofoten islands! 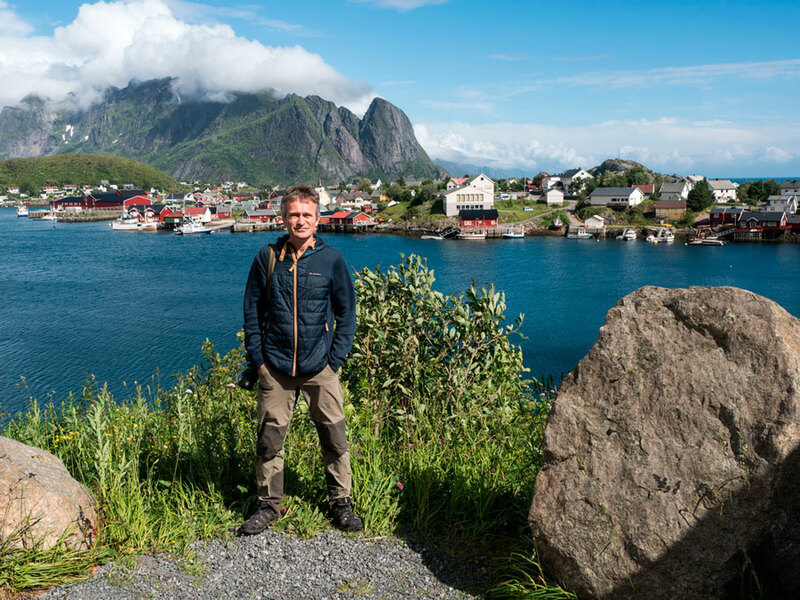 This is a land of wild, unbridled nature, majestic mountains, deep fjords, noisy bird colonies and long sandy beaches. 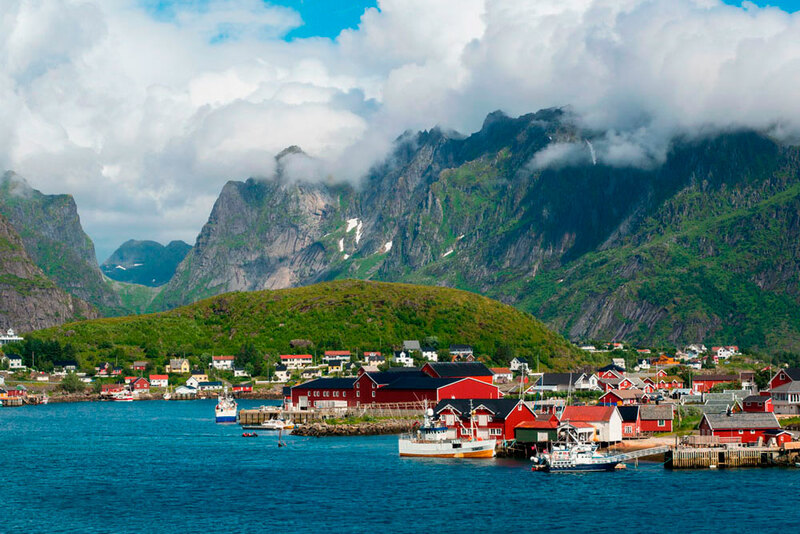 The Lofoten Islands retained strong ties with the Viking Age. And for photographers it's just a real paradise - everything here breathes beauty and color - whether it's mountains surrounding small fishing villages, these little villages themselves, people living in them, deep dark sea ... Photo tours are specially organized here, we'll see it all Within the framework of one round, which includes all the beauty of the north of Norway and Russia. For the night we stop at a campsite in the mountains and white nights, where even in the middle of the night it's impossible to tear off the magnificent landscapes and you can shoot at this time of the year even in the dead of night. After breakfast we go to the most extreme point of the Lofoten Islands - a village with an interesting name O (one letter "O" and nothing else :) Then we'll go to the fishing village of Rhine where we make a small ascent to one of the surrounding mountains to really admire the views and to make simply fantastic photos. We spend the night in a very original place - on a wild white beach, chosen by tourists from all over the world for recreation "savages". Here there is a whole village of tents, there is an equipped and quite civilized toilet and ... the virgin nature around. The most daring bathe in the cold waters of the sea, everyone else admires the views and enjoys privacy with nature. For one evening and night we will join them and, I think, no one will disappoint such a "wild" overnight stay. Having breakfasted, having photographed and sat down the car, we leave further, this time towards the house. However, we have to see and experience many more interesting things! 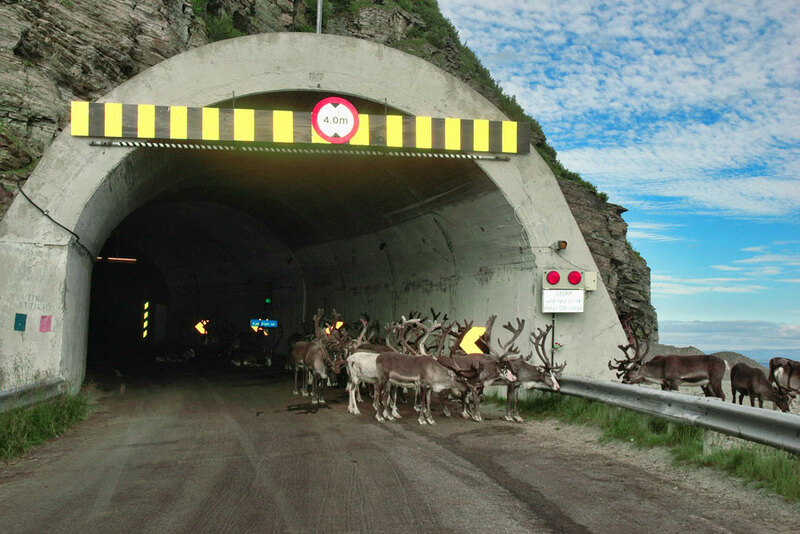 We'll drive for an hour or so to the village of Santa Claus, cross the Arctic Circle, only this time in the opposite direction - towards the south and go further. 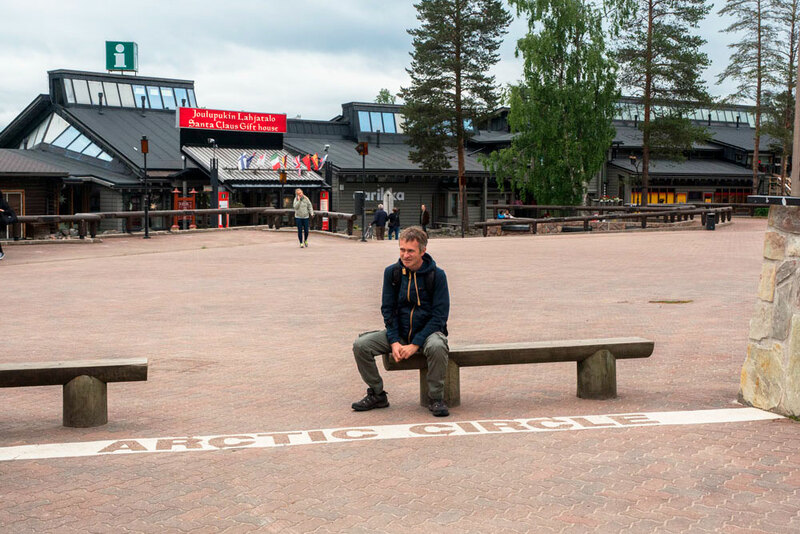 We'll spend the night in a campsite on the picturesque shore of the Gulf of Bothnia, next to the small and picturesque town of Oulu, which we will also visit to take a walk along its small, cozy streets, more like a cinema scenery than a real city. Crossing obliquely Finland, and late in the evening the Finnish-Russian border. For the night we will camp in the forest in the border zone. In the morning we call for an hour or two to the city of Vyborg, then we pass non-stop St. Petersburg, again stop in Shlisselburg, where we will visit the fortress "Oreshek" at the confluence of the Neva and Ladoga Lake - once the famous Tsar's prison, and then the place of heroic defense Leningrad, and after already almost without any stops we will go to Moscow, where we will arrive late at night or at night. other expenses not specified in the section "the price includes"
The pedestrian part of this tour is of medium complexity. This means that having minimal physical training, you will be able to withstand all field trips without any problems. However, you must understand that we will visit north territories, the weather there does not spoil the warmth and sunny days. Rains, winds, fogs - almost guaranteed. Any hiking out can take place in the rain, sometimes strong, you will blot and before coming "to civilization" you will not be able to dry clothes and shoes. In addition, all overnight stays - in tents! Most often - in campsites, where there is a shower (usually for some money), toilet, kitchen, Wi-Fi. But if you want to spend the night outside of the campgrounds - without any amenities. If you are pampered or do not fully understand what it means to spend the night in a tent for 18 days, you better refrain from participating in this tour! It will be uncomfortable to you, and to us with you. Due to lengthy crossings, the tour is also not recommended for people with spine diseases. Why is the tour so expensive, at the same time spending the night in tents? Norway is a very expensive country, one of the most expensive in the world. And with an overnight stay in hotels the price will be 5-6 times higher! We also provide an opportunity to see as much as possible for the minimum money for such a tour! If you compare with the prices of other companies for similar or similar tours and take into account that standard tours last 10 -12 -14 days, and we have 20 full days, you will understand that this is a cheap tour. In addition, you do not need to buy any tickets - the road (from Moscow or St. Petersburg) is already included in the tour price! If you pass this route on your car, you will spend 2-3 times more on the cost per person, as our route is optimized and does not contain unnecessary expenses that you will have to bear due to not knowing a lot of nuances that result in additional expenditure. The weather in Norway is changeable and replete with rain, wind and fog, especially in the highlands and beyond the Arctic Circle. Therefore, you need to bring with you a sufficient supply of warm and waterproof camp clothing - a membrane jacket, trousers, trekking shoes, running shoes for cities, a mandatory set of thermal underwear, as well as a hat, gloves, warm socks, fleece, sunscreen and sunglasses. If you are interested in this tour, leave a request through the form below or call on these phones, I'm Evgeny Androsov or my assistants tell details about the route and will answer all your questions. To book a place, a prepayment of 30% of the tour cost before it starts if more than 45 days, and 50% of the cost, if, prior to the start of at least 45 days. Prepayment is returnable in 45 days or more prior to the hike / tour nevovzratnoy and, unfortunately, less than 45 days before the start of a hike / tour if the return is linked to your refusal to participate (for whatever reason). If the hike / tour will not take place due to our fault, because not form a group or force majeure, the advance payment, you will be guaranteed to be returned in any case. If you change your mind / lose the opportunity to participate in the campaign, please let us know as soon as possible. The transport and food for the whole trek procured, calculated and allocated based on each party's campaign. Auto hiking tour All of Norway and the whole of Scandinavia in one trip! 5 - 24 July 2018.